An eagle-eyed Mac enthusiast on the tonymacx86 forums has spotted some interesting new registry entries in the 9500controller software. A quality GPU needs a good screen. Check out our pick of the best gaming monitors around today. 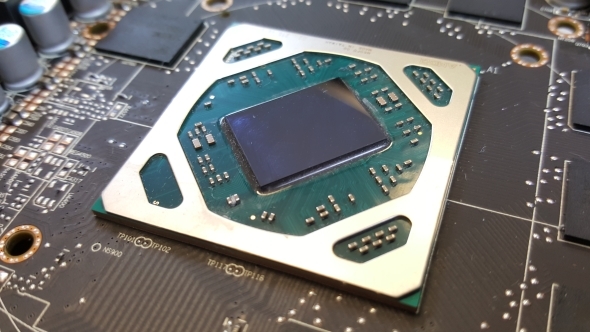 It’s a busy time for AMD, most especially on the graphics software side of things. Later today we expect to see the release of their brand new Radeon Crimson ReLive software, sporting a dedicated game capturing tool built into the drivers, as well as a host of other performance boosts and new features. And things look set to become even busier as the OSX-based discovery hints. 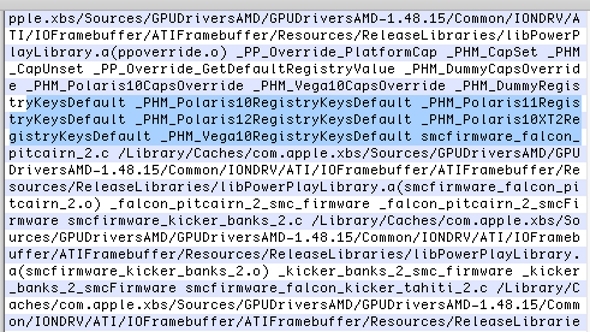 Inside the 9500controller driver software a forum user has uncovered registry entries for a pair of new AMD GPUs. The Polaris 10, 11 and Vega 10 GPUs we already knew about, but the Polaris 10 XT2 and Polaris 12 chips are new to us. Now, either Jobs’ Mob are getting their own bespoke Radeon chips or AMD is set to go big on their next generation of graphics cards in the new year across the board. The Polaris 10 XT2 naming scheme follows AMD tradition of upgrading old GPUs for newer GPUs, last seen with the Radeon HD 7970 GHz Edition and R9 280X sporting the Tahiti XT2 update to the Tahiti XT chip. It’s not unreasonable then to expect the RX 580 to come with a Polaris 10 XT2 GPU with the RX 590 rocking the Vega 10 silicon. Where does that leave the Polaris 12? Well, that could be a direct replacement of the lower-end Polaris 11 GPUs in the next generation of Radeon cards. It’s looking more and more likely that the long-awaited AMD RX 490 will never come to pass and they will move directly on to the RX 500 series of cards.